The following poker deposit options guide really will be of interest to anyone who is thinking of playing poker online, for many different players depending on where they live in the world are restricted in the number of ways they can actually send funds to any online poker site. So if you are thinking of having a gamble online by playing a few hands or a few sessions of poker then have a look at the pros and cons of using each of these depositing options to ensure you are able to find and start using a cost effective method of seamlessly moving money around online in the poker playing environment! In our first section, we will be taking a look at a selection of different web and e-Wallets that are readily on offer to poker players around the world. Paypal – Probably the most commonly used e-wallet in the world is Paypal, so you will be pleased to know that the majority of poker sites accept deposits from this payment option. Skrill – Skrill is fast becoming a popular web wallet for poker players, one of the reasons for the rise is due to the fact you can opt for a prepaid debit card which is linked directly to your Skrill account. Bitcoin – If you want to keep your finances completely anonymous and known only to you then you will be best off opting to use a Bitcoin Wallet to move your money around the web and on many different poker sites. NETELLER – Another web wallet which comes with a debit card linked up to it is the one available from NETELLER, there are some modest fees to pay when using their services but nearly every online and mobile poker site accepts their web wallet! If you prefer depositing to your online poker account using a debit card, credit card or charge card, below are the most commonly accepted types of payment options at our top rated poker sites. American Express – Also known as AMEX is widely available online as a poker deposit option. ecoPayz – ecoPayz is very similar to the above option, though you can also choose to sign up to use the prepaid virtual debit card service for maximum security. EntroPay – If you choose EntroPay, you will safe in the knowledge that your deposits will be made securely due to the fact Entropay generates a one time virtual card number to use. Discover Card – If you have received a Discover Card by your bank, then you can begin to fund your poker account in real time for any amount with not fuss. Diners Club – Whilst being a popular charge card there are not a huge number of poker sites that accept Diners Club as a payment option. Rest assured though as we have found a few of our top rated poker sites which do. Mastercard – If you have any type of debit, credit or even prepaid card on which the Mastercard logo is displayed then there will never be any shortages of poker sites that accept this payment option. One thing to consider though is that cannot withdraw winnings back to a Mastercard so keep that in mind! Maestro – If you have a Maestro card then you will be pleased to learn there are plenty of top class online poker sites that will allow you to make deposits using that type of debit card. 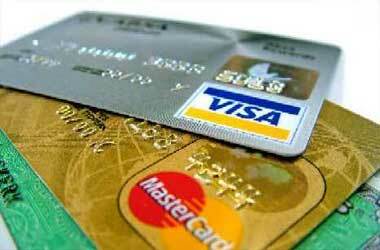 Visa – One final type of debit or credit card you may have is one that bears the logo of Visa on the front. Every single poker site we have listed on this website allows players to not only make deposits using that card but will also let you withdraw winnings back to that card too! Online poker sites do accept other forms of payment options such as Bank transfers, these can be a bit slower then the usual methods but will assure your account still gets funded. eCheck – As long as you have cleared funds in your account when an eCheck is due to be debited from your bank account then you can use this payment option to pay in advance for your poker site deposits. Instadebit – Easily and rapidly be able to move money into and out of poker sites by linking up your bank account directly to your poker account using the service offered by Instadebit. WebMoney – If you do not want to use Instadebit then why not try the WebMoney service which is another way that you can link up your back account to an online poker site account. UseMyFunds – UseMyFunds is a very easy to use yet highly secure way of instantly transferring money from your online bank account into your chosen poker site account. POLi Payments – POLi Payments is a service offered to poker players in a limited number of countries and is one that lets you link up a bank account to a poker site account. Wire Transfer – If you want to move larger sums of cash into an online poker site account then one way of doing so with relative ease is to send money to the poker site via a bank wire. Another popular form of payment option is to use prepaid cards/vouchers to fund your online poker account. These are very easy to use and very helpful to those who wish to not tie their bank account with any poker site. paysafecard – Similar to a Prepaid Card , you can buy a paysafecard from a range of different retail outlets. Purchase the voucher in cash and use the unique code number to transfer your cash into your poker site account instantly. PayPoint – Many shops and stores have a PayPoint machine, the machine allows you to buy prepaid vouchers or prepaid cards. You will be able to top up both online and mobile poker site accounts in cash.